Just because you're hosting a party doesn't mean you have to make complicated summer party foods. Instead, stick to the basics that everyone enjoys and have plenty of time to socialize with all of your guests. A variety of options ensures that everyone will find something delicious on your summer menu. A traditional staple of summer party menus is grilled meats. However, you can go beyond hamburgers and hot dogs. Try grilling lamb, marinated steaks or pork chops, and toss some veggies on, too. Consider grilling pizza, too, for a flavorful twist to a crowd-pleasing party favorite. If grilling isn't your style, consider making up some cold sandwich fillers and let everyone choose his or her favorite. Chicken, egg, ham and tuna salads are easy to make for anyone. Have crisp lettuce, juicy tomatoes, sliced onions and pickles as condiments to make these refreshing sandwiches. Chilled appetizers are favorites for summer meals, and deviled eggs are an easy and delicious option. Simple deviled eggs can be whipped up in a flash, or you can make these eggs real gourmet treats by adding chives or green onions and extra spices to the filling. Make the eggs deliciously beautiful by using different pastry tips to fill each egg with creative texture, and top them with parsley, a sprinkling of paprika or diced onions. A classic tray of veggies and dip makes a simple, healthy and undeniably delicious appetizer for summer party menus. Choose fresh, colorful summer vegetables such as carrots, celery, cucumbers and cherry tomatoes for a wide range of tastes. 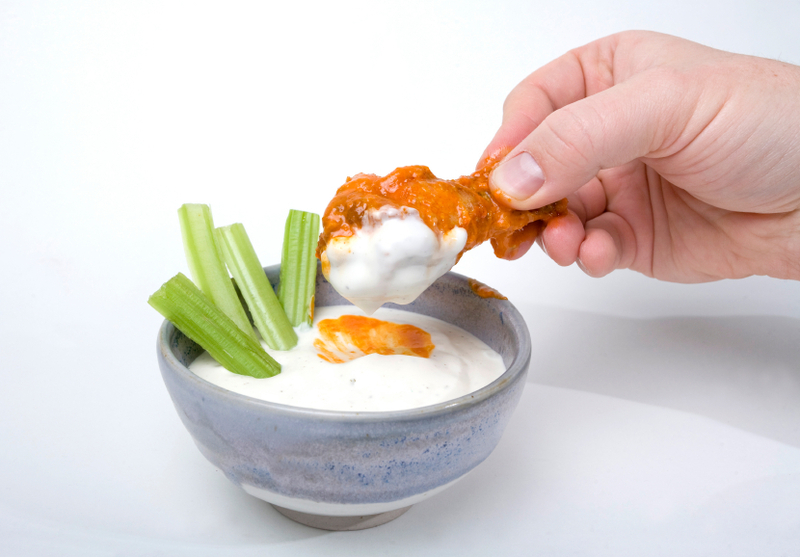 Simple ranch dip is always a good choice, or go for a more exotic taste with honey mustard or seasoned dips. Better yet, offer several dips for your guests to sample. Chilled shrimp cocktail is a party food that you can purchase ready-to-eat from your local grocery store. Seafood is a perfect appetizer or even buffet choice for a summer party near the water. Homemade salsa and chips are always a favorite at any party. In the summer, add some pineapple or mango to put a sweet twist on this delicious dip. Let guests know how hot the salsa is with a small sign indicating whether it is mild, medium or hot. For a formal summer party or a special event such as a summer wedding, anniversary celebration or other elegant occasion, chilled soups can be a delicious addition to the menu perfect on even the hottest day. A lightly spiced gazpacho is refreshing, or opt for sweeter soups such as strawberry bisque or a smooth watermelon and cucumber soup. Add some garden fresh vegetables to a cold pasta salad, making it a flavorful side dish. Instead of the typical mayonnaise dressing, consider tossing the salad with a light vinaigrette dressing or Italian dressing. Of course, coleslaw and potato salad are always popular, too. Cucumbers are the penultimate summer vegetable. They are appealing in a great number of dishes from salads to sandwiches to soups, or just as a side dish when freshly sliced and crisp. For the tastiest cucumbers, select those that are firm even on the ends, and keep them chilled until it's time to eat. Corn on the cob is a great addition to any summer party. Fun to eat, but slightly messy, it's great for an outdoor party. Grill the corn or boil it on the stove with a little salt and pepper, and it's ready to eat. Have a few knives on hand for people who prefer to cut it off the cob. Cut fruit is a juicy and sweet summer party food. Add a strawberry or pineapple yogurt dip for a perfect party side or appetizer. If you have more time, you can skewer the fruit and place the kabobs in a beach pail for a functional and fun centerpiece. No summer party is complete without appropriate drinks. Classic fruit punch or homemade lemonade is ideal for a casual, family-friendly event. For a more grown up party, offer frozen margaritas or sangria. Iced tea, mint juleps and fresh juices are also superb choices for refreshing drinks. Snow cones make fast and refreshing summer desserts that are perfect for kids' parties. Easy to make with crushed ice and flavored syrup, these are economical treats that go well with any occasion. Make several different flavors of syrup (which can also be purchased) to satisfy different tastes. For a more adult party, consider spiking the syrups with adult beverages for more grown up tastes. Fruits also work nicely in desserts. Small fruit tarts, garnished with chocolate and whipped cream, are delicious and refreshing. Individual sized tarts create a tantalizing display at a summer party. Finally, no summer party is complete without delicious ice cream. Top a slice of fruit pie or even set up a make your own sundae bar with lots of delicious toppings. Remember to follow food safety guidelines at any summer party where food will be served outdoors. Keep hot foods warm in crock-pots, and keep perishable items in the refrigerator until it is time to eat. Serve cold foods on top of ice, and check the temperatures regularly. Summer party recipes are perfect for any gathering, inside or out. Good party drinks are a necessity on a hot summer day, too.